Solar swimming pool heaters work quite easily. The swimming pool pump moves your swimming pool water through a series of dark-colored panels. Each panel contains little pipes that gather solar heat and transmit it to the water. When the water leaves the series of panels, it is significantly warmer. Return pipes transmit it right back to your swimming pool. 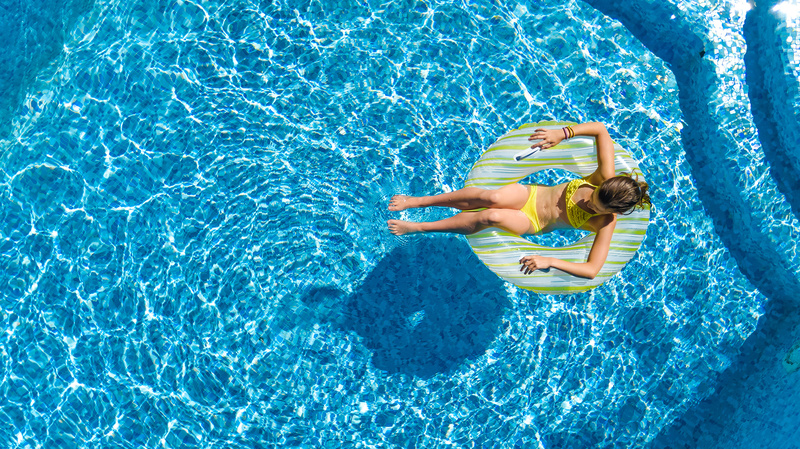 A thermostat controls this process to make certain your temperature remains exactly where you want it, even cooling your swimming pool by pumping cooler water during the nighttime. Solar swimming pool heating panels are usually installed on the roof of your house or another poolside building. Their low-profile shape makes them aerodynamic. Panel arrangements are modular, allowing Solaron to maximize their ability to gather thermal energy. Solaron has served West Sacramento since 1994! We are pleased to be a family owned and operated company and believe in customer service, knowledgeable staff, and bringing you the best panels on the market! Solaron is pleased to be an Authorized Heliocol Distributor. Heliocol is the leading swimming pool solar builder worldwide with the best product warranty. Solaron is the largest California Heliocol dealer since 2010. Our sales and installation team acquires ongoing training and support from Heliocol. We do our own installations, with our own staff. Fully insured and licensed, Solaron has never experienced a negative report with the contractor’s board and has an A+ rating with the Better Business Bureau.